After months of introspecting, saving and analysis, you purchase your vehicle and it deserves all the attention. It is important to take care of your vehicle or car to keep it new and in good condition for a long time. Instead of wasting time on redesigning and rectifying, get all the protection done right in the first attempt. Vehicle paint protection is a great way to protect your vehicle from damage using paint of highest grade. There are many automobile protection and detailing companies which take care of your car’s detailing with the finest paint protection system. 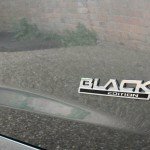 Using the paint protection, add a coat of glossy, high grade paint that acts as film coating on the already existing paintwork of your car. This reduces damage and gives your car a shinier, polished look. 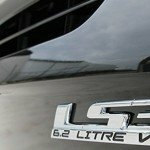 Car detailing Melbourne takes care of intricate details of your car and gives it maximum protection for longer time. The protection is available for wide variety of car and it is always recommended to add layers of extra coating from the first day onwards. There are various types of paints which are used for protecting the car from any external damage. Ceramic paint protection is the most popular and best class of car protection pain which is a liquid, nano-ceramic coating. It gives prolonged protection and preserve appearance of the car keeping its brand new look intact. The ceramic painting helps in protecting car body, alloy wheels, rubber parts of the car, glass etc and ensure the car retains its shine. The protection paint is a layer of coating applied on your vehicle that protects it from harsh sun and reduces the chance of paint to wear off. The shine of the paint last nearly for 5 to 6 years and is a long term investment for your car. It is always recommended to get the coating done while making the purchase. 9H PERMANENT CERAMIC PAINT PROTECTION. EXCLUSIVE APPLICATOR FOR THE MELBOURNE REGION. 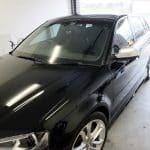 Melbourne mobile detailing has been closely following manufacturers setting new benchmarks for new car paint protection in Melbourne. After several years of gathering customer feedback, Melbourne mobile detailing has been using only what can be described as the most technologically complex ceramic coating in the world today. 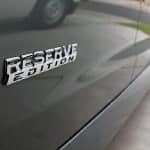 Many paint protection secrets secret lies in its formula, an extremely durable pre-polymer ceramic resin that comprises the backbone of many different coatings. The resin is then bonded with quartz, glass or a type of silica using nano technology methods for an eye popping gloss and extreme water repellance. Not many companies in the world have been able to replicate this bonding process without degrading the performance of their products. 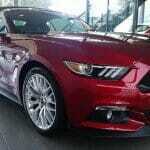 Therefore these new age nano ceramic paint protection products stand tall among its competitors as the. Car protection, durability, scratch resistance and gloss. Calling Australia home, Melbourne Mobile Detailing has invested large resources in both time and application tests around Melbourne ensuring the coating we choose to use lasts permanently on your cars paintwork, no matter which part of our harsh climate you live in. Many of the other products you may be comparing high grade products to have been specifically designed for use in a particular country outside Australia, this can affect the durability of these products as many will not be able to withstand the harsh UV rays, acid rain, bird lime, the heat of our summers and the frosty cold climate of our winters.